Gartner recently made a bold claim: The data center is dead. Along with this proclamation, Gartner predicts that 80% of enterprises will have shut down their traditional data center by 2025, compared to the 10% we see today. Gartner also states that “hybrid cloud is the foundation of digital business” and further estimates that the hybrid cloud market will reach $209 billion in 2019, growing to $317 billion by 2022. But what current trends and drivers are prompting Gartner’s claims and predictions? And, more importantly, does this mean you should jump ship from your data center to the hybrid cloud? By diving into the current environment and statistical predictions for the future, we can shed some light on Gartner’s perspective. Although annual global IP traffic continues to rise and predictions go even higher (annual global IP traffic is estimated to reach 3.3 zettabytes by 2021), the number of traditional enterprise data centers globally has declined from 8.55 million in 2015 to 8.4 million in 2017 and continues to fall. Even with data center numbers on the decline, the energy usage and costs associated globally can be shocking. U.S. data centers devour electricity using more than 90 billion kilowatt-hours of electricity a year, and in turn require roughly 34 giant coal-powered plants. Data centers account for approximately 3% of total global electricity usage in 2015, equating to nearly 40% more than the entire United Kingdom. With all these statistics, it comes as no surprise that in 2016 the Data Center Optimization Initiative (DCOI) told federal agencies to reduce the costs of physical data centers by 25% or more, leading 11,404 data centers to be taken offline by May of 2018. While this initiative is cutting costs associated with traditional data centers, the resource burden of these 11,700 federal data centers still must shift elsewhere. This shift from the traditional physical data center to newer options comes from more than just cost-cutting mandates—it is sparked and accelerated by the explosion of artificial intelligence, on-demand video streaming and IoT devices. These technologies are being rapidly adopted and require substantially more power and infrastructure flexibility. With 10 billion internet-devices currently in use and projections reaching 20 billion IoT devices in use by 2020, massive increases to data center infrastructure and electricity consumption are required to keep up. With these mounting demands and the introduction of the Power Usage Effectiveness (PUE) metrics, traditional data centers are evolving through more efficient cooling systems and greener, smarter construction practices for better-regulated buildings, along with greater energy efficiency from storage hardware. Successfully rising to the challenge is achievable, as Google demonstrates by now maintaining an impressive PUE of 1.12 across all its data centers. Despite these advances, enterprises are still relying heavily on public, private and hybrid clouds over data centers, reinforcing Gartner’s position; however, cost and demand are driving shifts from traditional data centers to the hybrid cloud. While many enterprise organizations assumed a complete transition to the public cloud would solve their issues with legacy systems, this approach ultimately shifted IT pains rather than resolving them. Escalating and unpredictable costs persisted and grew in the public cloud, along with new security concerns. Despite turning away from data centers and facing new issues in the public cloud, a better and more complete answer can be found in hybrid, custom and multi-cloud solutions – solutions blending the capabilities and benefits of public and private cloud technology with traditional data centers. This comprehensive approach meets the cost, security and compliance needs of enterprise organizations. With custom solutions providing better tools, better management methods and easier migrations, the future looks more hopeful with hybrid and multi-clouds being the “new normal” for business. As AWS introduced its AWS Outposts product following Microsoft’s introduction of the hybrid Azure Stack, the IT landscape truly begins to transform into this new normal. As they are streamlined and made stronger through hybrid and custom platforms, data centers are not in fact dead but instead evolved to be more efficient and support new solutions. Emerging approaches to storage, computing and physical space continue to make the data center a relevant component in today’s IT equation for enterprise businesses. Through even more efficient approaches like hyperconvergence and hyperscale, hybrid and multi-cloud solutions can simplify migrations, reduce cost and improve agility. These innovative new techniques in data storage and computing are proving to save organizations—and government agencies—from costly expansions and lagging operations. Additionally, physical improvements like airflow management, liquid cooling, microgrids and more are breathing new life into legacy infrastructures. As traditional data centers are evolving for a new IT era, the landscape has clearly become more complex than ever before. Keeping up requires the expertise of IT partners that have data center expertise, and that can also provide the necessary geodiversity, interconnection services, tools and experience from migration to management. Partnering also allows organizations to leverage experts that can rationalize public cloud workload placement and offer “as-a-service” offerings to alleviate some of the cost and resource pain points that organizations sometimes run into when trying to implement changes using their stretched internal IT staff. Building this network of partners to enable and integrate diverse platforms is just another component in the evolutionary change of the IT environment. The new year brings a wave of eagerness and ambition for innovators across industries. For IT professionals and managed service providers (MSPs), this often means setting new business goals. For instance, in 2019 MSPs or IT firms may be considering new service offerings, building a new core competency, or simply growing revenue and improving profitability. If a company is only using on-premise technology versus cloud-based solutions, they’re likely falling behind the times. Consider, as just one example, email hosted in the cloud. 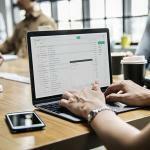 According to a recent survey from Gartner, just shy of 25 percent of public companies have made the jump to cloud email services, with adoption rates among SMBs even higher. In the coming year, we expect to see many more SMBs and enterprises alike moving to cloud-based email – the end of the early adopters and the beginning of the early majority. Given this, MSPs and IT firms may want to do an audit of technology solutions and workstreams under their management to evaluate whether on-premise solutions would be more cost-effective if they were transitioned to the cloud. Many businesses have already successfully migrated email and/or other work in the cloud, boosting the confidence for those who were once wary of cloud solutions. Cloud providers like Microsoft are increasing license costs and shortening support cycles of on-premise solutions, pushing businesses toward cloud alternatives. As a result, maintaining this legacy infrastructure is becoming more costly for IT. 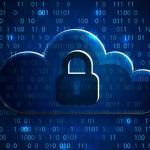 Security concerns previously prevented people from moving to the cloud, but these concerns are being addressed. Cloud solutions can provide a higher level of security and are better maintained by cloud providers like Microsoft or Google through regular updates and patches to address new cyber threats. The same cannot be said for on-prem systems. While the last decade has primarily focused on why and how organizations should move to the cloud, in the next decade we’ll see more managers focused on optimizing their cloud services. Tech professionals will be sophisticated when selecting cloud providers and adopting new services. For instance, they may take a multi-cloud approach for more flexibility and room for negotiation, helping to stave off vendor lock-in while allowing businesses to host workloads with the cloud provider that makes the most sense for specific business objectives. As a result, managing IT environments will become more complex. Hybrid and multi-cloud strategies dominate, but department-level technology decisions are influencing an influx of SaaS solutions. These solutions can be challenging for IT teams who manage governance and ensure broader business integration. 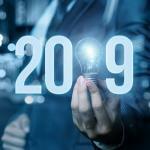 As this trend continues in 2019, MSPs will seek additional software management solutions to ease the transition and troubleshooting. Companies will move away from generalists to tackle their cloud needs, and MSPs might consider specializing in one particular area to distinguish themselves from competitors. A wealth of user technology is available — such as container services to move applications, serverless computing, blockchain applications and automation to manage IT environments — and more specialists are necessary to effectively manage the tech field’s growing landscape. Also, look for MSPs to further establish vertical specialties in industries such as health care or education, where speaking the end user’s language and understanding their specific ecosystem’s needs, challenges, and technical solutions gives MSPs a leg up. Another primary focus for IT in 2019 will be improved security and governance practices. For those coming from on-prem infrastructure with well-established processes, cloud governance looks far different. IT and MSPs have an opportunity to review and update these processes to ensure they’re appropriate for cloud-based systems. In addition to dictating where data is stored and for how long, governance plans also should address the availability, usability, and integrity of data. Also, IT managers must ensure migration plans – whether to the cloud or between clouds – have security as a core tenant of its execution. Cyberthreats are only becoming more sophisticated, and any organization, regardless of size or industry, is vulnerable. Educate users about cyberthreats, and keep systems and applications up-to-date, while exploring other options to ensure all bases are covered. Despite new challenges in 2019, the outlook for IT professionals and the service provider landscape remains strong. Technology leaders continuing to look ahead and purposefully approach the cloud will help their organizations execute on their visions in the coming year and beyond. Mark Kirstein is the Vice President, Products at BitTitan, leading product development and product management teams for the company’s SaaS solutions. Prior to BitTitan, Mark served as the Senior Director of Product Management for the Mobile Enterprise Software division of Motorola Solutions, continuing in that capacity following its acquisition by Zebra Technologies in 2014. Mark has over two decades of experience overseeing product strategy, development, and go-to-market initiatives. No one wants their business to have to weather a disaster – but sometimes they happen. If you go in without any concept of what you’re doing, you’re more or less guaranteed to be in crisis. But if you go in with a well-established disaster recovery plan? You’ll be able to survive just about anything. Sometimes, bad things happen. Sometimes, those bad things are unavoidable. And sometimes, they impact your business in a way that could potentially lose clients, customers, and employees. In today’s climate, your business faces a massive volume of threats, spread across a larger threat surface than ever before. Disaster recovery is critical to your security posture, as it’s often not a question of if you’ll suffer a cyber-incident, but rather of when. Whether or not your organization survives a disaster largely depends on one thing – how well you’ve prepared yourself for it. With a good disaster recovery plan, you can weather just about any storm. Let’s talk about what such a plan involves. It’s impossible to identify every single risk your business could possibly face – nor should you put time and resources into doing so. Instead, focus on the disasters you’re likeliest to face. For instance, a business located in Vancouver probably doesn’t have to worry about a tornado, but there’s always a chance that it could be struck by a flood. When coming up with this list, consider your industry, the technology you use, your geographical location, and the political climate where you’re located. Incidents that impact all businesses include ransomware, malware, hardware failure, software failure, power loss, and human error. Targeted attacks are another threat to your organization, particularly if you work in a high-security space – you may even end up in the crosshairs of a state-sponsored black hat. Ideally, your crisis response plan needs to be flexible enough to deal with any incident you deem likely, and adaptable enough that it can be applied when you encounter an unexpected disaster. What systems, processes, and data can your organization not survive without? What hardware is especially important to your core business, and what sort of tolerance does your entire organization have for downtime and data loss? Make a list of every asset you control, both hardware and software, and arrange that list in order from most important to least important. From there, you want to ask yourself a few questions. 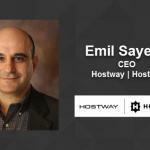 First, what systems are absolutely business-critical? This is hardware and software your business cannot operate without – stuff you need to get as close to 100% uptime as possible. This could include the server that hosts a customer-facing application if you need an example. Second, what data do you need to protect? Healthcare organizations, for example, are required to keep redundant backups of all patient data and to ensure that data is encrypted and accessible at all times. Figure out what files are most business-critical and prioritize those in your response plan. Third, for the assets mentioned above, what is their tolerance to downtime? If those systems do go down, how much revenue will you potentially lose for each minute they’re offline? Are there any other considerations aside from revenue that mark them as important? For instance, a communications platform for first responders needs 100% uptime – lives literally depend on it. Finally, what can you do without? If you run a home-repair business that brings in customers mostly through word of mouth, your website going down probably won’t be too harmful to your bottom line. If, on the other hand, you’re an eCommerce store, your website is likely one of the most important assets you’ve got. 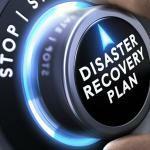 As you’ve no doubt surmised, no two disaster recovery plans are going to look the same. Every business has different needs and requirements. Every business has different assets they need to protect, and a different level of tolerance for downtime. Once you’ve figured out your critical assets, ensure you have backups and redundant systems in place. These failover methods need to be thoroughly tested. You must be absolutely certain they’re in working order; you don’t want to find out the files on your backup server are corrupt after you’ve lost your hardware in a flood. Too many disaster recovery plans neglect the business’s most important resource – its people. How will employees escape the building during a catastrophic event? What should each staffer do during an emergency? Who’s responsible for coordinating emergency communication, reaching out to shareholders, and ensuring all critical systems failed over properly? Ensure that roles and responsibilities during an incident are clearly-defined and well-established. More importantly, your plan needs to include guidelines for how to shift responsibility. If the staffer who’s meant to handle coordination of their colleagues during a fire is on vacation, who steps into the role? Your disaster recovery plan needs to account for these details, while also including a means of disseminating information between employees. Ideally, you’ll want a crisis communication platform of some kind. Ensure that everyone has access to that platform. So, you weathered the storm. Your business is still standing. Good – now it’s time for recovery. You should already have a good idea of what services are most critical to your business from the inventory you performed, so this is a fairly simple process to figure out which ones to restore first. What you need to establish beyond service restoration is who you’ll reach out to, and how you’ll reach out to them. If clients or shareholders suffered monetary losses during the incident, how will you reimburse them? After the crisis has subsided, what will you do to improve your response in the next incident? It’s been said that no plan survives first contact with the enemy. That’s true of disaster recovery, as well – if you leave your plan untested and unevaluated until your first disaster, it’s extremely likely you’re going to find weaknesses at the worst possible time. To identify areas that need improvement and familiarize staff with their responsibilities, run regular practice scenarios. Additionally, you should constantly revisit your disaster recovery plan. Don’t approach it as a project. Approach it as a process. Always look for ways you can improve it. Regularly revisit and re-evaluate it in light of new technology or new threats. And never assume you’ve done enough. Natural disasters. Hardware failure. Hackers and rogue employees. Malware and ransomware. The array of different threats facing your organization is absolutely staggering. A good crisis response and disaster recovery plan is critical if you’re to survive – critical to establishing a good cybersecurity posture. Cyber hygiene shouldn’t be a difficult concept – yet it seems like many organizations struggle with it. Yours might even be among them. Either way, it’s probably better to be safe than sorry. Read on to see if you’ve done everything necessary to keep your security posture strong – and what you still need to improve on. Hygiene’s pretty important. If you don’t regularly shower, keep your environment clean, and wash your hands, you get sick. By that same vein, if you aren’t actively trying to keep your systems, people, and data safe, your business is going to end up in a spot of trouble. Trust me, I am going somewhere with this analogy. Today, we’re going to talk about cyber hygiene. It’s a pretty simple concept, but one that’s surprisingly complicated (and often difficult) to incorporate into your own organization. In essence, it’s everything involved in maintaining a strong security posture and ensuring your infrastructure stays in working order. There’s actually quite a bit to it, even if we just focus on the security side. First thing’s first, you’re going to want to think like a cybercriminal. What assets or systems are most valuable to someone looking to make a quick buck off your business? What about someone wanting to defraud your organization or its staff, or a competitor looking to steal your intellectual property? That’s only the first step. Next, you need to think about how a criminal might get access to sensitive assets. What elements of your infrastructure are most vulnerable to attack? Where are you most likely to experience a data breach, and how? External threats from criminals aren’t the only thing you need to account for. You’ll also need to consider risks like internal bad actors, natural disasters, equipment failure, and more. The most important thing is that you have the security in place to protect yourself from all but the worst threats, and the resilience to survive should your systems still end up compromised. You cannot control the weather. You cannot stop every cyberattack, nor can you account for a malicious insider. Eventually, there is a very good chance your systems will go down, a very good chance you will encounter a crisis of some kind. How well you make it through that crisis depends on your level of preparation. It depends on how comprehensive and thought-out your disaster recovery and business continuity plans are. How prepared you are for the worst, in other words. Roles and responsibilities in the event of a crisis. Who is in charge of keeping critical infrastructure operational and ensuring failover happens as it should? Who will keep in touch with shareholders and business partners? Ensure every employee understands precisely what their role should be. A response plan for a wide range of emergencies. Figure out what your business is likely to face, and plan to weather that. A general crisis response plan is also important. Critical and non-critical assets. 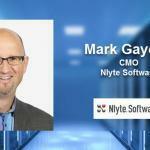 What systems and data are critical to your business? What systems need to operate without interruption, and which ones need to be brought back online as quickly as possible? Communication details. How will people stay in touch? Contact numbers, emails, a crisis communication platform, etc. Major infrastructure. Do you have backup systems in place to ensure there is no interruption of service? Have those systems been adequately tested? Do you retain multiple, redundant backups of critical data? How will you handle sensitive or regulated data? Service recovery. What process will you have for getting services back online after an emergency? Regular testing. This one is self-explanatory. Constantly evaluate and re-evaluate your crisis response plan. The old adage that your employees are the greatest security risk in your business holds true more than ever these days. Criminals are always going to seek the path of least resistance by default. What that means for you is that if you have nigh-unbreakable security infrastructure, they’ll simply try to gain access by bamboozling your employees. And even if an employee doesn’t fall victim to the machinations of a hacker, they might still inadvertently compromise your business. Human error is the cause of most data breaches, after all. Unfortunately, there’s only so much you can do to mitigate this. Do what you can to promote a culture of cybersecurity within your business. Ensure leadership is schooled in the importance of cyber best practices, and ensure you are regularly training and educating your staff on the ins and outs of staying safe in the digital world. More importantly, have systems in place to recognize people who best embrace and embody their role in keeping your organization’s data safe. Make cybersecurity a part of everyone’s job. Because ultimately, whether you like it or not, it is. That’s not going to change anytime soon. We’ve talked about some fairly high-level stuff so far. Processes and policies, training programs, corporate culture, and so on. But the problem is, that’s not actually where the majority of businesses fail at cybersecurity. As it turns out, most of them struggle with the foundation. 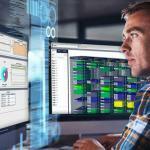 In a study carried out by cybersecurity firm Tripwire, it was found that 57% of organizations still struggle with visibility into their networks and systems, taking weeks, months, or longer to detect new devices or services. Many businesses (40%) still aren’t scanning regularly for vulnerabilities, and even more (54%) don’t collect and consolidate critical system logs into a single location. It gets worse. 31% don’t even have a password policy in place, and 41% aren’t using multi-factor authentication. In short, their cyber hygiene is awful, regardless of any other steps they’re taking to protect their data. Patch your systems regularly and immediately. Scan for vulnerabilities on a daily basis. Ensure you have complete visibility into all networks and systems within your organization. 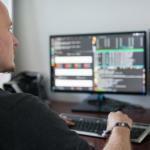 Implement automated monitoring tools that alert you of any unusual network activity. Last but certainly not least, one of the most common cybersecurity traps I see people fall into is the assumption that once their infrastructure is in place, their job is done. They don’t need to worry anymore – their data is safe, at least until next year sometime. This is a dangerous mindset. The cybersecurity landscape is constantly shifting and evolving. You need to be cognizant of that. 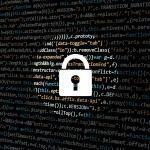 You need to pay attention to emerging vulnerabilities, new security techniques, and more. Because if you’re not paying attention, you’ll simply be left behind. Whether you’re talking about your infrastructure or yourself, hygiene is critical. Poor personal hygiene can result in sickness and isolation. Poor cyber hygiene can result in lost or misplaced data, data breaches, and productivity bottlenecks. You don’t want to fall victim to either – and now you know how to avoid both.